Growing up, I didn't realize just how nice we had it with fresh vegetables from the garden. What we could not eat during the summer, my mom canned and froze so we could eat all winter long. In fact, for a long time I did not even realize that you bought fresh vegetables from the store. I just thought everyone went to their cellar and got what they needed. Yes, the big garden was usually a pain from the tilling, to the backbreaking planting, weeding, and harvesting. When the weather was hot and buggy outside, weeding or harvesting the vegetables was the last thing I wanted to be doing as a kid. Of course, I had no idea how much I would miss it one day. Later in life when I was in college and beyond, I found out that vegetables in the stores did not match up to what I grew up eating. They were either not ripe enough or the taste just wasn't as good. The prices on some of these in the store for the quality is hard to comprehend. Sometimes in our local grocery stores, it is hard to find produce in stock, let alone vegetables that are good quality. When I read the following quote in the book, The Filed, it made me stop and think for a moment. If we as a living observer (a.k.a. human), can affect randomness, that just how connected are we to everything around us. One could easily answer that by saying, we are connected to all things, but for it to be shown in a scientific manner boggles my mind. It also brings to my mind, how our energy and attitude towards life really does affect everything. I don't think you can be fake about this and just think yourself to a positive energy. It is much more than this. After all, if we impact randomness in the world, than most likely, it will be able to determine if we authentic or not. This quote is one of my favorites in the book. Let your mind think on this one for a little while and see if you don't begin to view all life around you in a different way. Of course, to get a full perspective on what this chapter was discussing, you would need to read the entire book. To read "The Field" on Amazon, click this link. I just started reading "The Psoas Book" by Liz Koch and I am learning so much. I remember in massage school learning about this muscle and learning to identify its locations, but I there is so much I did not know about this muscle. Here is one quote from the book that says so much. As you can see from this quote in the book, the psoas muscle does a tremendous amount. There are many other functions as well, but I'll let you read the book to discover them. If we all focused on helping our psoas muscle become healthy, I have a feeling many health conditions could be lessened. Don't take my word for it, read the book.  To read "The Psoas Book", click this link. This is an excellent video of an interview with Peter Levine. He is the author of the book, Waking The Tiger which is a very good resource for humans. I have come to learn first hand the concepts in his book as being very real for my own life and my own healing. 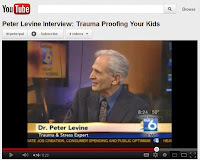 This video on YouTube was an interview of Peter Levine on helping kids process trauma. In all reality, it isn't just for kids, but that must have been the focus of this interview. While it is a short interview, there are some very good truths in it that everyone needs to hear. Often, we tend to focus on the things in life that will bring us very little lasting peace and comfort. One such area in humans is the need to take our pain away. While pain is not comfortable in the body, it is there for a reason. If our goal and focus is only on taking away the pain, we are missing the true healing nature of the universe and the mind body connection. Pain is there for a reason and it is trying to get our attention. If we ignore it, we may think we are conquering it, but at some point in the future, it will only try harder to get our attention. Only by going into the pain, will we find healing through peace and comfort for our life. To read more on this subject, check our a recent article I wrote on Somatosync.com. 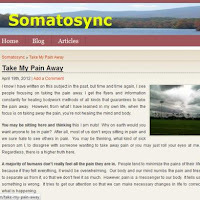 The title of the article is "Take My Pain Away" and you can read it by clicking this link. Here is a recipe of something I made for a meal. It was just one of those moment creative dishes. While it is nothing fancy, it did taste very good and was simple to make. You can alter it in any form that you like, but to give some framework, here is the recipe for Quinoa, Burger Crumbles and Veggie Dish. 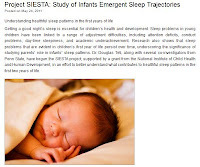 A recent study at Pennsylvania State University project Siesta looked at the sleeping patterns of depressed mothers and infants. The study performed by Dr. Douglas Teti along with many other researchers, collected data on 45 infants and their mothers ranging from one month of age to 24 months. The study was performed for seven days that included a sleep diary kept by the mother and web cams to monitor entry into the baby's room and areas the mother might take the infant at night. There were several findings in this research, but what they found was that depressed mothers tend to go in and wake their babies up at night, even if they are sleeping. It appears that the mother may need comforting and the close connection of the baby, to help calm her anxiety and depression. Mothers who were depressed, tended to worry about their infants at night. When the mothers sought out their babies at night, the baby was in no need of parental help. The researchers feel that if an infant is not experiencing any stress, that by disrupting the sleep of the baby, it could have a negative consequence on the parent-child relationship. Sleep problems in infants can result in attention deficits, conduct problems, day time sleepiness and academic underachievement. These problems in the first year of an infant's life, can affect them for many years to come. Have you ever been triggered by sounds? If you have suffered any type of trauma, I am sure you know completely what I am talking about. 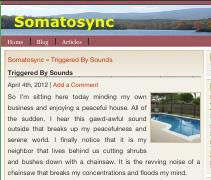 The following article I published on Somatosync.com is my account of one trigger that has plagued me for most of my life. I could never figure this out for the longest time and then suddenly, the lights went on in my brain. While I make this sound easy and simple, it has been a process that has been anything but this. I'm just relieved that the picture of the trigger is now one that I can vividly see and comprehend, regardless of how difficult the memories are. To read Triggered By Sounds, click this link. Dr. Jill Bolte Taylor wrote an excellent book about her journey of recovery from a stroke. She has wonderful insight into dealing with a stroke that applies to many aspects of life. If you would like to read my review of this book, click this link. Here is a quote from a book I am currently read called, The Field, by Lynne McTaggart It is in regards to quantum particles and a property called nonlocality. I could attempt to explain this, but in many ways this is over my head. So, instead, I'll let the book quote explain it more and if you want to read more on this, check the book out. All healing isn't healing. 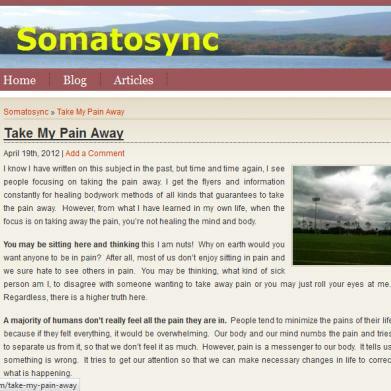 Here's an article I wrote that was published on a new website called Somatosync.com. The title of the article is Innate Process Of Healing and Movement. While that may sound difficult and confusing, it really is more simple than most people realize. Healing from trauma is a natural biological process. If it is done in a safe way with a person that can walk through the fire of the trauma with another, than it can truly be a healing and powerful life-changing experience. To read the article (Innate Process Of Healing And Movement), click this link. The automatic watering system has no moving parts, but one of the critical parts you must do when you install it is to heat the ends of the plastic tube up before inserting it on to the various junction pieces and transfer lines. If you just push one end together with another, it may look like everything is fine, but it won't be long that it will come apart. The hot summer heat of the sun will make it expand and the next thing you know, your connections will come undone. In life, we sometimes have heat applied to our days. In difficult moments, it feels like we have been put through the heat of everything possible. We struggle to push our life together and keep our self going forward. Some days it is all we can do to deal with the difficulties of life. Much like the watering system that requires heated ends to securely bond together, our life sometimes requires heat to mold us into the person we are meant to be. The more we understand who we are and what our purpose is, the more functional we are. Without the heat of the difficulties in life, we may just be like a useless role of tubing sitting on the ground with no purpose. As a piece of tubing, we may be hoping that we could water the plants, but without the heat, we would never see our purpose. Why Do We Harm Others? Do harm to one another. Isn't that what we are all about in this country and throughout this world? Do harm to each other. If you're reading this and wondering, what marbles are floating around loose in my mind, consider the truth of how we treat others in our life. Okay, I realize not everyone is like this, but there is a majority in this country and this world that seem to harm one another, rather than respecting others. Every day that I see news headlines, I'm reminded of just how selfish, mean, and harmful we are to each other. We treat others as if they are less than us, not really mattering to the existence of life. In fact, it shows we value the life of fellow humans in such a way, that our culture is taking major hits each and ever day. It has been stated that we as humans are 99.9% alike biologically and only .1% different. Yet, we go through our days acting as if we are so different. We focus on the color of skin, the different beliefs, political ideology, different thoughts, and status of our living conditions as the barometers in what it means to be human. Isn't it sad, that our existence in life boils down to how every other human is so different from us, when in fact they are not. I saw Dr. Wayne Dyer do something special in the movie, "The Shift". In one of the beginning scenes, it showed him getting out of bed around the 3 am hour and he was depicted as saying "thank you". If we open our day up to saying thank you to our life and another day, what is possible for our life? All too often we take for granted, a new day and a morning. We fail to connect with the gratitude of a day that is before us which holds so much possibility. I still remember when I was paralyzed and not being able to walk or take a step. I no longer look at life as a given, but as something that I embrace and am thankful for. I feel it is an honor to be able to rise in the morning and greet the day with both feet being able to hold me up and function as intended. Why not join me in saying thank you to the new day as your get up in the morning? See how it feels and what possibilities you invite into your life. All you have to do is say the words, "thank you". That is as difficult and simple as this gets. Who knows, it could very likely change your life. Thank you Dr. Wayne Dyer for sharing this powerful, but simple exercise. If you want to see this movie featuring Dr. Wayne Dyer, The Shift, click this link. Starting today, why not greet the morning with thank you? Try it and then leave a comment to share what it does for your life. Here's a great recipe for some vegetarian stew made with burger crumbles. It is nothing fancy and very simple to make. If you're looking for something creative and easy to fix for a few meals or a bunch of friends, why not give this a try. Here's the ingredients that I put into it, but you can put anything you like. In fact, be creative and make it into something that fits your tastes. Sometimes we can get so serious in life that our body and our mind suffocate in boredom. It is through laughter that our body can shed stress, worries, frustration, and moments of despair. Join me in a laugh today. Find something funny to laugh at or create a moment on your own. From the book, The Field, here is one of my favorite sections on page 88. Sometimes I hear music and have no idea where it coming from. Perhaps, I hear the music of the stars. In the movie, The Shift, there was a segment depicting a piano player that would play the music that he heard. In all reality, this is the same thing I do. If you have been following the news of pink slime being put into beef products then you already know what is going on. If not, there has been a big backlash as a result of social media in regards to pink slime. Imagine sinking your teeth into a nice burger, or maybe some lunch meat, hot dogs or other processed products you find in the store. Okay, it is probably important to note that if you eat this stuff, than this applies to you. Otherwise, if you are a vegetarian, you're most likely shaking your head at the thought of this entire drama playing out. Pink slime is scientifically known as lean finely textured beef. While that sounds good and nice and delicious, let's look into it just a little further. It is processed beef trimmings and the parts used in this aren't necessarily parts of a cow you would sit down to a meal and feast on. Using heat and centrifuges, the lean meat is separated from the fat. However, because of the cow parts being used in lean finely textured beef (pink slime), need to have potential bacteria residing on these trimmings, killed by something. E coli and salmonella would be of major concern. All my life, I have been afraid to let people see who I truly was. Growing up in the house that I did, you had to guard yourself from what others saw in you. For these people I in the house I grew up in, would use these things to their advantage and to my disadvantage. You see, one of the most horrifying experiences in my life other than being raped when I was only five years old and then molested on a daily basis was trying to hide myself from the monsters in my family. They would constantly watch me and if I showed any signs of connection to them, they would go in for the kill. They knew they had me and it was like my power was inactivated in that moment. As I grew older and went through puberty, the monsters in my family watched my body with the precision of a microscope. If there was a the slightest sexual stimulation in my jeans, they would not miss it. It was like that gave them permission to play out scenarios that had become constant daily routines. Any young boy going through puberty gets stimulated sexually at the smallest of events. These monsters used that against me to the point where I was afraid to be seen. I tried hard not to let them see me, but it seemed to be inevitable. The last time the scenario played out was right before my older brother got married. A new documentary hitting the TV was on the OWN network recently. Oprah interviewed the creator of the film, Jonas Elrod, about his experiences before allowing everyone to view the film on the Super Soul Sunday program. This is a real life documentary of Jonas Elrod regarding an experience that happened to him and still continues to this day. While I'm sure there are many that would look at this film with complete skepticism, I would urge everyone to keep an open mind and see what you can learn. There are things out there that exist and take place which we may not be able to see at this point in our life or in our day. We often live in our own little world, oblivious to what is around us. Sometimes our awareness and consciousness is so limited that it could be contained in a small storage jar. Just because we cannot see something or we don't think it exists, gives no credible evidence that we are correct. In this movie, Wake Up, Jonas Elrod recounts and shows his experience of going from an every day person to one seeing auras, shapes, demonic type things, angels, spirits, etc. Jonas was not a spiritual and religious person, but just a regular guy working in a regular job trying to make his way in life. To view more information about the movie, click this link. The movie really resonates with me because I've had similar experiences. It is important to note, that I do not get the full detail like Jonas does, but I have seen and sensed some of these things in dramatic ways. I'm sure if I saw all of these things at once, I'd probably freak out and hide, much like Jonas most likely wanted to do. Did you see the recent program on CBS 60 Minutes that aired on 2/19/12 regarding depression? The title of this show segment was Treating Depression - Is There A Placebo Effect? Irving Kirsch, associate director of the Placebo Studies Program at Harvard Medical School states without hesitation that there is most definitely a placebo effect. Placebo effect is when a simulated treatment is given in place of an actual medication, medical surgery or procedure. For instance, instead of giving someone a drug or medication to fight some condition they have, a sugar pill may be given. From the research that has been done by Irving Kirsch and others, it is found that placebos have the same effect as many medical interventions. Shortly after the paralysis from the conversion disorder I went through, my psychiatrist wanted to put me on antidepressants, but I refused. I hard heard in my family that if you took those, they would mess up your mind and brainwash you. While that wasn't the sole factor in my refusal, I was one that just hated to take medication of any type and I still do. In this case though, once I got out of the hospital, things changed. I still remember sitting in my apartment, listening to people come to the next door neighbor's sidewalk sale and freaking out. I had every curtain and drape closed and was shaking uncontrollably with fear while hearing the voices. It was my first anxiety attack that I recall. As a result I started on antidepressants, of which I can not fully remember the name. The other night while trying to sleep, I was awakened in the early morning hours. In the front, left part of my head, a headache began raging. It felt like it was a surface layer headache. The pain got so intense that it really frightened me. At first, my mind started to fear a stroke or some serious situation because of the intensity. I find it amazing just how my brain heads to the worst case scenario of the biggest fear the moment something happens. As I laid in bed, I tried to position myself on one side to the other, hoping that the pain would lessen. I was still somewhat asleep so while I could experience the pain, I felt like I was out in la la land. My entire logic ability was not functioning at this point. The fears were growing and no matter what I tried to do, the pain was not going to lessen. My shoulders and neck were aching with a deep intensity as they felt rigid to any movement I tried to make. No matter what, no sleep position seemed to alleviate my discomfort in my shoulders. It only seemed to reinforce the pain. I got up and went into the bathroom to see if maybe walking and stretching would help. As I observed myself in the mirror, I noticed just how rigid and swollen my neck appeared. It was as if someone stuck a garden hose in my neck and filled it full of rigid water. It looked twice my size. Of course that only added to the fears that were trying to roar loudly. Watching the movie, The Shift, featuring Dr. Wayne Dyer, he made a statement that I will try to paraphrase and remember. I thought it was an excellent thought about abundance. When we first moved to a farm when I was in 8th grade, it had several out buildings, a lot of pasture, a big house and a gigantic old barn. The barn was majestic with worn paint, but it provided a great place for me to hide, roam, and treat as if it was my own world. My cats would hide in the left over hay bales and found it was a warm refuge from the weather and my father. The barn no longer stands where it once did as it has been torn down. As majestic as it was, full of those old timbers, it was really a mess inside. It seemed as if someone had used it over the years, but never taken a moment to tidy it up or clean it out. It was an accumulation of so much that one could have a history lesson inside its walls. This applied to how dirty it was from left over animal material. In the low end of the barn, the accumulation was over a foot in depth and was dried and hard. It had become the floor in many ways and was crowding in on the ceiling. Our job as kids was to go in and clean this out which meant chipping, picking away at it, and shoveling it outside the door to be spread on a nearby field. This book is one that I have been wanting to read for some time. I heard about it when I was in massage school, but never pursued it on my book list. Of course, I've got so many books that I want to read and it seems like there is never enough time to do that. The Field is an excellent book. The main thing I like about the book so far is how it gets you to think beyond the paradigms that you hold on to. It really does push you to think beyond the box and beyond your mind. While the information is presented in an easy to read manner, I do find it difficult to fully understand the concepts at times. The concepts are deep and involved. I'm not sure there is an easier way to explain some of these concepts, so the author probably does the best job that anyone can do. I may find myself going back and reading this one again. I do like how real life examples and stories are used detailing the history of various discoveries. It really engages you in the process and helps show the details behind the conclusions. This is not information that you would learn in a normal science based course most likely. In fact, I have never heard of some of these concepts until now. I really enjoyed this video of a speech given by Brene Brown. The topic was on vulnerability and numbing our emotions. It was given at a recent TED Conference. Click this link to view the video. Vulnerability is difficult for a lot of people because to be seen as vulnerable in our society, that means we are somehow weak. To be weak means a shark will probably swallow you up and treat you as a little fish. We have to appear strong in our society so someone doesn't take us on, run us over, or obliterate our life. We see vulnerability as a bad things when it comes to the media and especially in politics. The sad part is that when we take vulnerability away, we are essentially numbing our emotions. The more we numb our emotions, the more we lose site of what it means to be human. Emotions are a good thing for being human, but unfortunately in our world, we treat this as a disease or something wrong with a person. 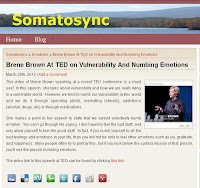 I recently saw a video of a speech given at the TED conference by Brene Brown on vulnerability. (To view the video, click this link) It is an excellent 20 minute video that you should see. In the video, she talked about how blame plays into vulnerability. It is easier to blame someone or something or some entity and cause, rather then understand the dynamics of what is going on behind the scenes. According to Brene Brown, blame is a way to discharge pain and discomfort. Think about that for a moment. We live in a society today that is blaming everyone and everybody for everything. If any issue is written about or discussed in the news, there are usually two sides presented and commented. It is those that completely agree and those that disagree. There is no middle ground in the discussion. It is either one way or another way. You really don't have to look far to find evidence of this in your day. "Makes My Body Feel New"
Spring is one of my favorite times of the year. This year, it seems like everything is early, but I welcome it with open arms. Springs makes my body feel new again and it refreshes my mind. It gives new life to the world that appeared dead for several months. The colors change from dreary shades of green and brown to vibrant colors. The air begins to feel warm as a noticeable breeze touches my body. The birds begin to chirp more loudly as the trees once again begin to bloom. You can notice spring in the ground where the grass decides to begin growing again, now that the temperature has warmed a bit. It is a time when the garden vegetables go in and begin to grow towards maturity. Something I recently saw posted on the internet about angels spoke to me. I may not have it 100% correctly restated, but here are the words. 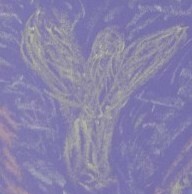 Regardless of what you believe or don't believe about angels, I feel very connected to them. I am sharing this from that place in my own heart. In difficult times, I realize that I AM not alone. It is then that I AM surrounded by all the beautiful Angels. The angels carry me when I am weak, and walk beside me when I am strong. It is helpful in life to know you are not alone and that sometimes when you are in the midst of a struggle, the angels are there for you. I can so picture the angels being with us in times of weakness and difficulty, but I can also see them walking beside us when we are stronger.